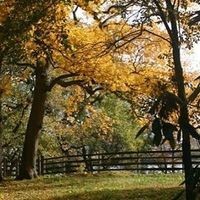 Bartram's Garden is a 45-acre National Historic Landmark, operated by the John Bartram Association in cooperation with Philadelphia Parks and Recreation. It is a destination and an outdoor classroom, living laboratory, and membership organization for ever-expanding audiences―over 50,000 each year and counting. In March 2017, the Board of the John Bartram Association approved River Garden Vision 2025, an ambitious strategic and master site plan. Note: The above descriptive information came from the organization's Mission and Vision page. Freshwater mussel hatchery at Bartram’s Gardens aims to provide natural filter for Pa. rivers, streams, WHYY, January 22, 2019. Comcast Cares Day Volunteers Clean Up Bartram's Garden, NBC-10, April 21, 2018. What’s buzzing at the 2017 Philadelphia Honey Festival, Metro, August 31, 2017. Bartram’s Garden Becomes A Trailhead, Philadelphia Record, April 27, 2017.